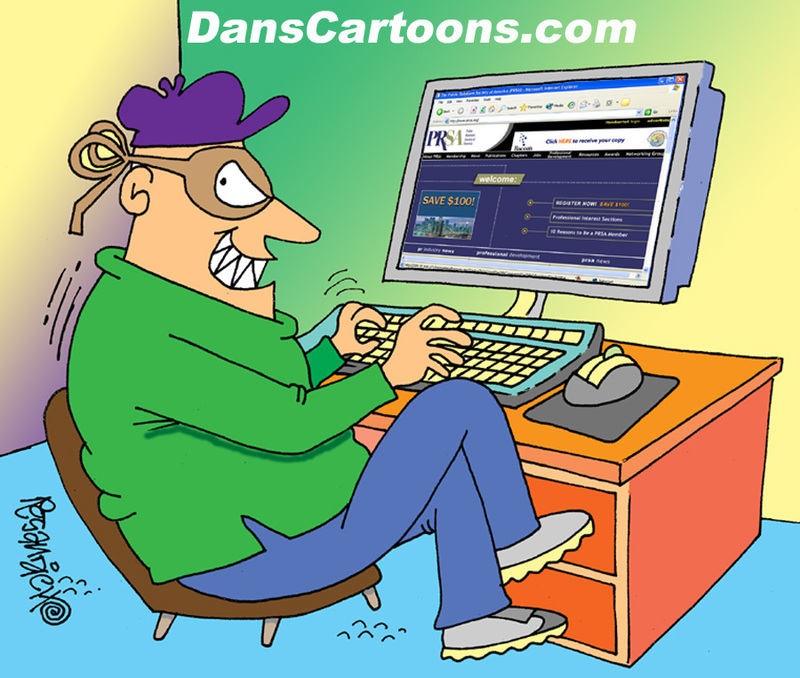 Stealing cartoons online and using them in commercial or professional projects is illegal. Simply put, it’s against the law and is plain out cartoon copyright theft. Don’t do it. Do you know anyone who does this? Have you seen a friend’s photography used without their knowledge? Or without their consent? If any image is copied from one web site, and used on another website or in any kind of digital platform, social web sites included, that is illegal. If you are a web designer and have an associate who is copying content and reusing it in his or her web projects, make certain they are getting permission. With the popularity of the internet, along came the Digital Millennium Copyright Act was written in 1998 to protect content online. It was established in 1998, a relatively new legal act. 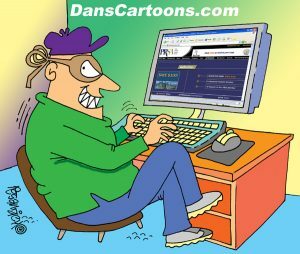 However, it’s purpose it to protect all imagery in the digital realm….cartoons included.If you are a full time cartoonist who relies on your imagery for your livelihood, along with a web site to professionally promote and deliver your artwork, then knowing a little about the DMCA will assist you greatly. It can also assist you in other ways, such as using it to enforce your copyright by relaying the information to those who are illegally copying or downloading your single panel gag cartoons for profit. Let them know that you know! Knowledge is power and with your power comes enforcement….I am not inciting unprofessional behavior on behalf of your business approach, but rather enlightening potential victims (my fellow cartoonists) who may have found their work used without their knowledge or consent. I am certain with a lot of cartoons online, that many of my images are “swiped” or stolen….however, I am also grateful a licensing client I have, uses a proprietary software to scan the entire web to locate duplicates of my work elsewhere and we’ve found many thieves in this manner. Some of these violations are based on mere ignorance but others are deliberate. It is hoped with some simple explaining such as what I am writing here, that you will grasp the importance of copyright law, how it works and what the potential ramifications could be to those who blatantly steal cartoons without the creator’s knowledge. Please realize that stealing cartoons hurts everyone involved. 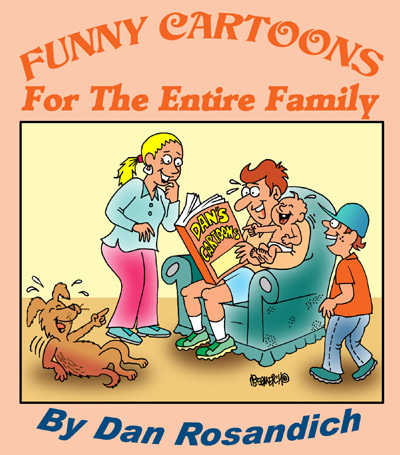 If you are a true cartoon fan and appreciate humor, cartoon licensing information is readily available and can assist you greatly in understanding cartoon copyright laws. Thanks for taking the time to stop by and visit…above all, keep laughing and share this information if you feel it has value to other creatives on your list.